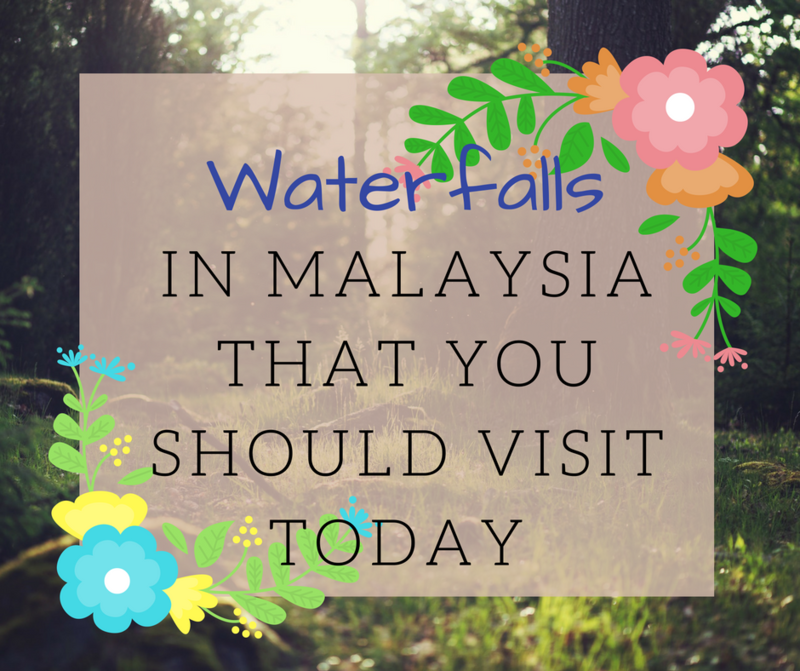 We have your next weekend planned out by giving you a list of places to hike, only to end up at some of the most beautiful waterfalls around Malaysia. Get your hiking shoes on and your swimsuits ready, we’re going on a date with nature! You would have come across photos of your friends at beautiful waterfalls on Instagram; it’s probably the Chiling Waterfall. Known to be one of the most spectacular waterfalls in Selangor, it’s located in Sungai Chiling Fish Sanctuary. Make sure to pick a day with good weather! You would have to leave if it starts pouring because the river and waterfalls can be hazard. Prepare to get wet. There are a total of 6 rivers to cross before you reach the Chiling Waterfall. When nature is just a short drive away, why not try something new and take some ‘gram worthy photos while you’re at it? If you’re up for a drive out of the city and an adventure, Berkelah Falls is the place to be. Located at Pahang, and about 31 to 35 km away from Kuantan, you will find yourself in a cascade of waterfalls. Getting on the trail is already an adventure of its own; the road getting to the trail is mostly off road. Transportation can be arranged from a nearby village. It’s about a 20 minute hike to the first twin waterfalls, which can get pretty crowded at times. If you continue hiking, the trails become slightly harder but starts becoming more secluded. Berkelah is also suitable for camping if you feel like spending a night with nature! Located at Ulu Yam Baharu, Sungai Sendat is appropriate for anyone who wants a taste of nature without hiking for hours. It’s also reasonably easy to find as there is a signboard that leads you straight into the forest reserve. As you turn into the reserve, you would have to drive through 4 km of dirt road. You should park your car at the end of the road and start your hike. This is the perfect place to dip in waterfalls and have picnics around the jungle. There are trees that surround most of the jungle, which helps with the humidity. You can sign me up for great weather and beautiful atmosphere any day! Here’s another place to visit that isn’t too far away. In between Selayang and Rawang, you would easily find Sungai Kanching. With a total of 7 waterfalls, this is the perfect place to immerse yourself in nature. I’ll give you another tip to make things even easier than it already is, you can take a bus from Central Market which will bring you straight to the reserve within an hour. Each of the 7 waterfalls are different from each other and serves a different purpose. The first waterfall you would come across during the hike is not appropriate for swimming, but it’s a good place for a picnic. The second waterfall is where the fun begins; the main attraction. This is where the toilets and dressing rooms are. This is definitely the place to be if you’re looking for an easy hike and comfort! Further out of KL, located at Terengganu, lies a nature park with chalets and river trekking. Air Terjun Sekayu would be a comfortable river trekking experience as there are proper trails. Take a drive, spend the night and detach yourself from the city. There are several waterfalls to be discovered all around the park. Follow the trail and you’ll find yourself basked in nature. Air Terjun Sekayu will be a pleasant experience for anyone. Surround yourself with the beauty of the jungle and take a dip in nature’s bath. You may come across pleasant surprises like wildlife animals wandering around too!